It was Pot Bless time again last Sunday! I just didn't know what to cook and bring for the pot bless and after putting the brain in full motion, I decided that I should cook Italian Chicken Stew....a dish , to be enjoyed by the the young and old :) And you know what ? This dish turned out to be the house favourite that night. 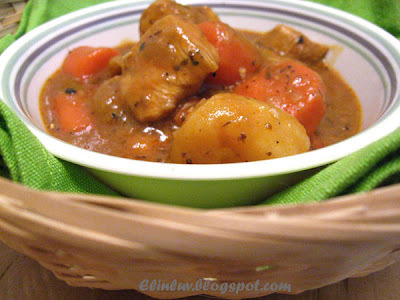 A very flavorful and tasty chicken stew infused with aromatic italian herbs ....a beautiful stew to serve with pita bread, pasta or steaming hot rice. This is a dish that is easy to prepare . A nutritious and flavorful italian chicken stew for a cold night. After a heavy downpour in the evening, the night was cold and this stew was just right for the night. I love the aroma of the stew exuding from the pot while simmering away. 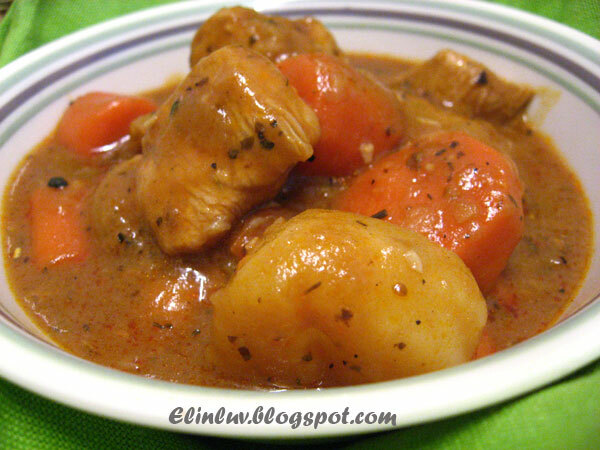 The flavorful gravy absorbed into the soften potatoes and carrots , truly makes them tasty and lip-smacking good ! Needless to say, when the lady guests found out that it was yours truly who brought in the dish, most of them asked for the recipe. Only the men will never bother about such things....they will just eat whatever is served at the table and keep their stomach filled LOL! Heat up olive oil in a non-stick pot and lightly saute chopped garlic, big onion cubes and black pepper for a few minutes,add in the potato cubes and carrot cubes and stir them together for another 5 minutes, add in the tomato puree, oyster sauce and italian herbs and lastly add in the chicken pieces and cheery tomatoes and stir till well combined. 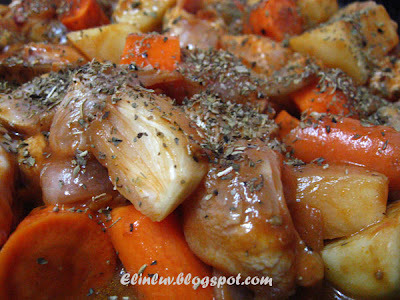 Add in enough water and simmer under low heat till the potatoes and carrots have soften and the chicken pieces are tender and soft . This may takes 1 hour. Keep stirring at 15 minutes interval to avoid the bottom from burnt . Add salt and sugar to taste and add in thickening last. 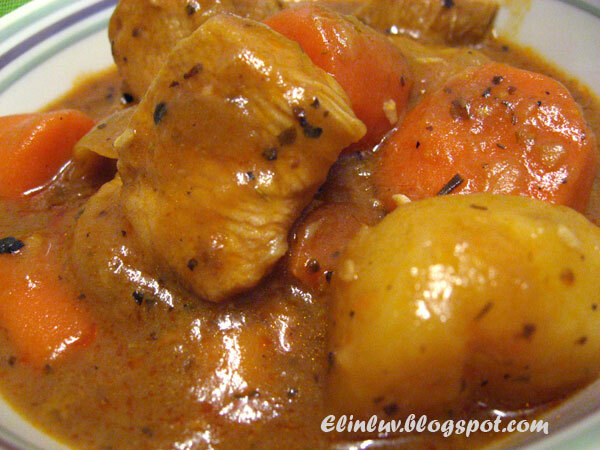 Off heat and serve hot with pita bread, pasta or hot steaming rice. really swallowing my saliva when i read your post... andy coming back this weekend.. instead of chicken potatoes again, this time i add in the puree.. yehhh.. new dish! Oh Elin, you've done a great job! I'm sure all of your friends enjoyed it very much. Then remember to reserve some for Claire! ^_^ hehe.... Hope you're having a pleasant evening. 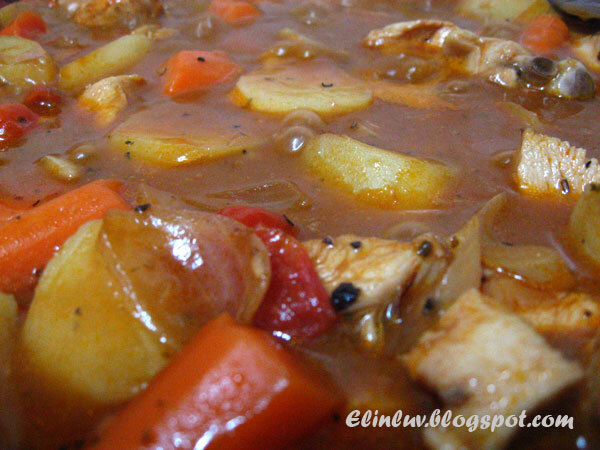 The chicken stew looks mouthwatering! 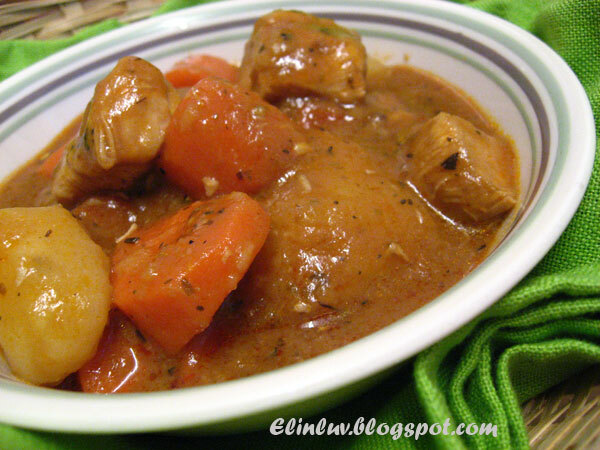 I love stews! So tasty and comforting. this look simple and yummy! Care to post the picture of Tesco Italian Herbs? Sounds really easy and delicious. 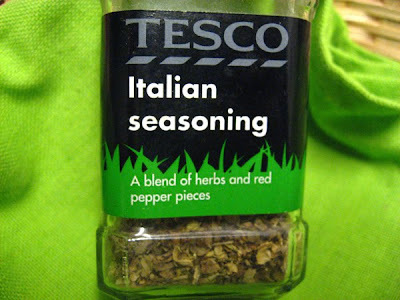 I just bought some chicken pieces today and must get the Italian herbs first before I start to cook this dish. 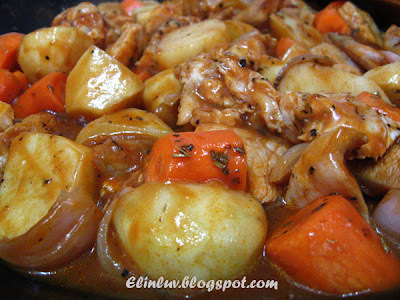 The chicken stew looks delicious, no wonder everybody loved it and asked for the recipe. Oh yeah, Elin, what is Pot Blessing Sunday?